Dwyane Wade On Dealing With Life After Basketball: "I'll Be In Therapy. Seriously"
Home>Sports> Dwyane Wade On Dealing With Life After Basketball: "I'll Be In Therapy. Seriously"
"I told my wife, I said, 'I need to do therapy, and we need to do a little bit.'" With that in mind, Wade recently sat down with ESPN's Rachel Nichols to discuss his retirement tour thus far, and how he plans to deal with life after basketball. 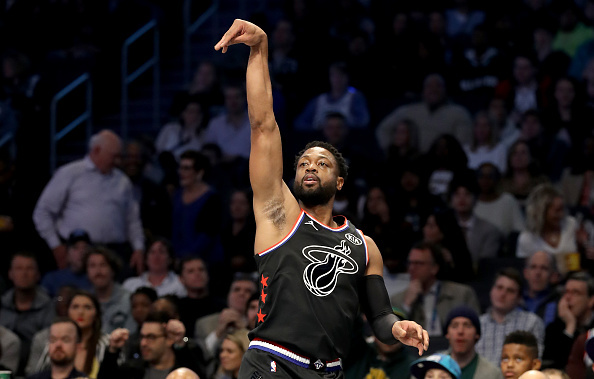 Of his last go around some of the most iconic arenas, where he has had some of his most memorable games, Wade says he couldn't have scripted it any better. "I couldn't have written this book any better. This is a bestseller. And I couldn't have written it, about my life." Up next for D-Wade and the Heat are road games Friday night in Minnesota and Sunday afternoon in Toronto, followed by Wade's final home game on Tuesday night against Philly. Miami will wrap up the regular season on the road in Brooklyn on April 10. SPORTS Dwyane Wade On Dealing With Life After Basketball: "I'll Be In Therapy. Seriously"